I don’t need to tell you we live in tough times. There, I said. So, let’s say it again. We live in tough times as individuals, as families, as communities, as a nation. The brakes applied to our once prosperous nation have been on for so long, one has to wonder if we are permanently in park. What is unnerving is we don’t know when it will get better. Someone forgot to change the light bulb at the end of the tunnel and that person needs to be fired. But what else do we need to do? Like most, I’ve hunkered down and made some tough choices. First, I got rid of my middle name. With the way things are going I thought there was no need to be extravagant. Also, unless you are a pope there is no need for extra monikers. Second, I decided to give up smoking. I think it was a smart move and an achievable goal considering I never started the habit. But this follows one of my beliefs that one should first set goals already accomplished. Put a check in the win column and build momentum. Third, I decided to move out of my apartment and into a neighbor’s house. This has been critical for I have (A) saved money and (B) jettisoned possessions I did not need. The transition has been a positive one except my neighbor doesn’t know I’ve snuck into his house. I’m hoping to have a conversation after I finish another load of laundry. These are a few examples of adapting to a new and stark environment. With a major crisis must come major change, not only on the individual level but national as well. 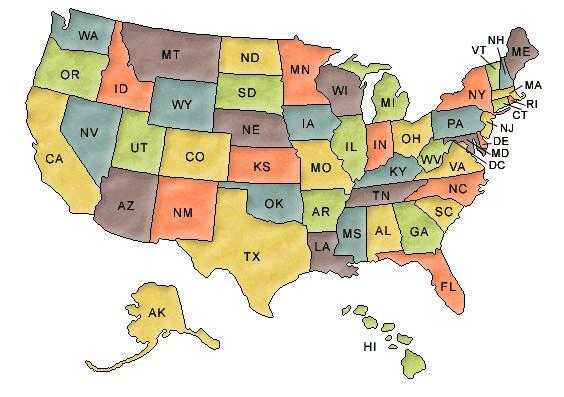 No, I’m not talking about Utah moving in with Nevada (Odd Couple) and Ohio making room for Connecticut. But I do think we need to ask ourselves what it means to be the United States. And to answer this question we must have the optimism to be creative and the realism to be restrained. I’ve thought about this question for over thirty minutes and have a plan to consolidate 50 states to 19. I hope you will read with an open mind, especially you TEXAS!